FERC last week rejected Baja California Power’s request to guarantee debt its parent company took on to purchase independent power producer InterGen’s Mexican assets (ES18-58). 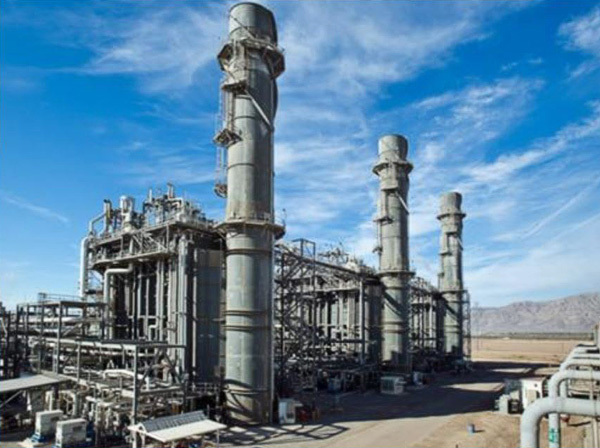 Baja Power owns and operates a 6-mile segment of a 12-mile, 230-kV line that connects generating facilities near Mexicali, Mexico, with CAISO at San Diego Gas & Electric’s Imperial Substation. The company asked FERC for permission under Section 204 of the Federal Power Act to guarantee the debt Cometa Energia took on to acquire the InterGen assets, which includes six combined cycle generating plants totaling 2,420 MW. Cometa’s total debt for the purchases could exceed $1 billion, FERC said. Cometa is a subsidiary of Actis, a private equity firm based in the U.K.
Baja Power argued that it was the only one of Cometa’s 36 subsidiaries that hadn’t signed on as a guarantor, and that its guarantee of Cometa’s debt was in keeping with its performance as a public utility. FPA Section 204 generally requires applicants to show that acting as a guarantor “will not impair [a public utility’s] ability to perform” as a public utility, the commission said. “The commission typically bases its finding that proposed issuances of securities will not impair an applicant’s ability to perform service as a public utility in part upon the applicant’s demonstration that it will have an interest coverage ratio that is 2.0 or higher,” it said. Baja Power did not submit an interest coverage ratio, however, “because Baja Power has no income,” FERC said. “Further, it did not submit any additional evidence that it would have the means to perform utility service if it is granted authorization to act as a subsidiary guarantor of its parent Cometa. “The arguments presented by Baja Power indicate why a lender would find it desirable to have a subsidiary guarantor, such as Baja Power, step in to the shoes of the actual borrower, Cometa, but there is no demonstration that a guarantee by Baja Power is necessary or appropriate for, or consistent with, the proper performance by Baja Power of utility service and that a guarantee will not impair its ability to perform that service,” the commission concluded in denying the application. FERC clarified its December ruling ordering settlement procedures for new SPP member Central Power’s transmission service rates. New wind generators will be required to provide reactive power following a FERC order eliminating their exemption from having to provide the service.